When starting a new business one of the first questions to ask should be: should I buy a franchise? This is an important question to consider and research because owning a franchise can be a profitable and rewarding career. 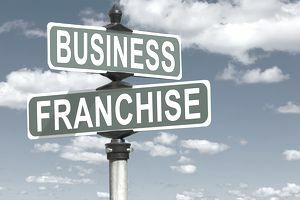 Owning a franchise offers several advantages when compared with going it alone, so to speak. A franchise offers established guidelines and operating procedures in exchange for the purchase of a franchise license. At the end of this article, there is a list of resources regarding buying and owning a franchise business that can be used to help determine if this is the right business model for the business you will start. A franchise offers existing, established Information Technology (IT) and Point of Sale (POS) technology. Even better, a portion of the franchise fee that was paid to purchase the franchising license typically funds the use of technical support resources to set up and initiate the technology that will be used. Technical support is usually offered during the franchise operating hours. Purchasing the items on the franchisor list of recommended technology such as computers, servers, business telephone systems, on-site cameras, and recorders completely eliminates the need to research equipment needed to operate a new business. Some franchises even prescribe recommended music players, along with a list of service providers to use for this purpose. Typically, the franchisee is able to take advantage of a discount on all equipment purchases, because the franchisor has previously negotiated a discount due to the large volume of business that all other franchises have done with these vendors. Instead of having to create guidelines for human resource functions such as hiring, job descriptions, interview questions, performance appraisals, and many other necessary tasks, the franchise typically provides all of the necessary guidelines and forms necessary to start operating the business with the correct types and quantity of employees. The franchise also right-sizes the number of necessary employees based on the anticipated volume of business that has been projected, along with a recommendation of when to ramp up staffing according to growth. Some franchises, especially those in the food industry require certain uniforms for the employees and will offer the purchase of these uniforms at a discounted price from a variety of vendors based on the volume of business and pre-negotiated costs. In the day-to-day operations, the franchise typically provides two levels of training. One level is for the management team which provides instruction about managing the resources and leadership of the establishment. As well as on the job training for the employees in order to ensure consistency of their approach to customers and the overall customer experience that the franchise desires. All of the “corporate approved” (franchise created) marketing and advertising templates are provided in exchange for a recurring monthly fee. This is usually not optional. The templates that can be used for print and media advertising are usually customizable so that the franchise location, phone number, and any contact information can be easily added. Email marketing has become increasingly popular and some franchises offer corporate created templates to use for email campaigns with companies such as Constant Contact and others. Consider the last purchase that you made or service that you signed up for. Chances are if you signed up for a Gym or Spa membership, you chose a name/brand that you are familiar with and therefore trust or have heard good things about via word of mouth or advertising. This is the power of the brand and how it translates into immediate sales and recurring clients. The strategic advantage of purchasing a franchise is the ability to sell a well-known product that is backed by the reputation and financial strength of the franchise. Establishing a brand from scratch can be time and cost prohibitive. There is power in numbers. There is also a tremendous amount of money that can be saved this way. In addition to being able to purchase the necessary equipment, furniture, and supplies at a pre-negotiated discount, a large volume of local franchises may be able to work together to pool their marketing and advertising resources. If there is a promotion that the corporate office of the franchise is recommending for a Money Mailer or other, if 5 franchisees (or locations) pooled their advertising funds, they may be able to reach a wider area or afford multiple mailings. The economies of scale that are possible via the purchase of a franchise can help to differentiate the money makers from the “mom and pop” businesses that can’t ever afford as much.